There is a wealth of innovative business schemes at networks for online entrepreneurs who are defying the recession. If Gordon Brown is pondering where all the new jobs are going to come from, he could do a lot worse than send one of his minions on a tour of the country's still-booming entrepreneurial networks. At the weekend, when I sometimes crawl out of my cave to go networking, I went to one of my favourites, MiniBar, a monthly cosmopolitan gathering of hundreds of wannabe entrepreneurs that is nearly always oversubscribed. It takes place off Brick Lane, Whitechapel, in a disused brewery in Jack-the-Ripper country. I was thinking of writing about dating sites, and the first person I see has "Talktome" on his shirt. "Hi," I say, "Are you a dating startup?" "No, I just want people to talk to me," he replied shyly. I listen to his pitch then interrupt a young couple. He tells me he is starting a peer-to-peer foreign exchange site – peepex.com – the first in the world, where buyers are lined up with sellers to cut out the middlemen. "Wow," I replied, "You mean a Zopa for the foreign exchanges, cutting out intermediaries as Zopa does with banks? Why didn't I think of that?" I stop Christian Ahlert, the German founder of MiniBar, who is passing by. "Do you know these guys? They are starting the world's first peer-to-peer market for foreign exchange transactions." "Oh," he replies, "I've just met someone outside who is doing the same." He rushes out and brings back Todd Veri, the Canadian chief executive of Midpoint & Transfer, who is indeed doing that from a London base. He asks me to name any foreign exchange companies that are publicly quoted. I can't think of any. "Do you know why?" he asks, and answers himself: "Because they are making so much money". His plan is to line up buyers with one or more sellers and price currency transactions at the middle point of the inter-bank rate. Midpoint takes a small, flat-rate commission. I move on, chatting to a man setting up a crowdsourcing site for workers in IT who can be located when someone has a problem to solve, and also a couple who will be pitching at the next MiniBar for their startup, whatschoolnext.co.uk, to help alleviate the fears of parents whose kids are changing schools. 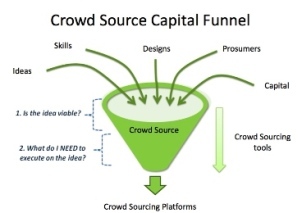 Next I bump into James de Rin, whose startup crowdsourcecapital.co.uk links ideas up to the support – and share capital – of online crowds, thereby bypassing the stock exchange and other intermediaries. Wow, again. When he heard I was a journalist he told me to peer into the future of newspapers at payyattention.com, which links readers and writers in a social network of newly fashionable micro-payments. Then Vikram Shah, founder of the London entertainment site mlist.co.uk and a dotcom veteran, motions me to sit down before the official pitches begin. He tells me his son, a standup comedian, has just got into Cambridge to study politics. Amazing, the lengths they go to to get new material these days. Standing out among a slew of interesting five-minute pitches was mendeley.com, billed as an iTunes for scientific research papers, which again prompted the ultimate compliment – why didn't someone think of that before? You can manage your own research papers from any computer and search others and link up with other researchers. No wonder that some of the world's major universities have already signed up. The founders point out that public research papers reflect the science of two years ago, and if that gap could be cut down it could have a big impact on economic growth. Mendeley pitched shortly after mixcloud.com, which aims to democratise radio, and picfog.com, a fascinating Twitter-linked site that searches images in real time. Snaps taken of the guy pitching at MiniBar appeared on the screen behind while he was talking. When I headed home, it was with a feeling that I had overdosed on new ideas. I wouldn't be surprised if several world-class companies emerged from the startups I encountered that night. The recession may still be on but there is no recession in ideas. 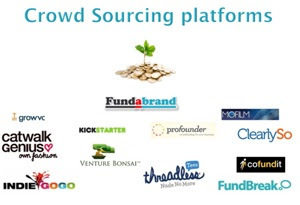 NEWS: Is Crowd Source Capital the ultimate bank?